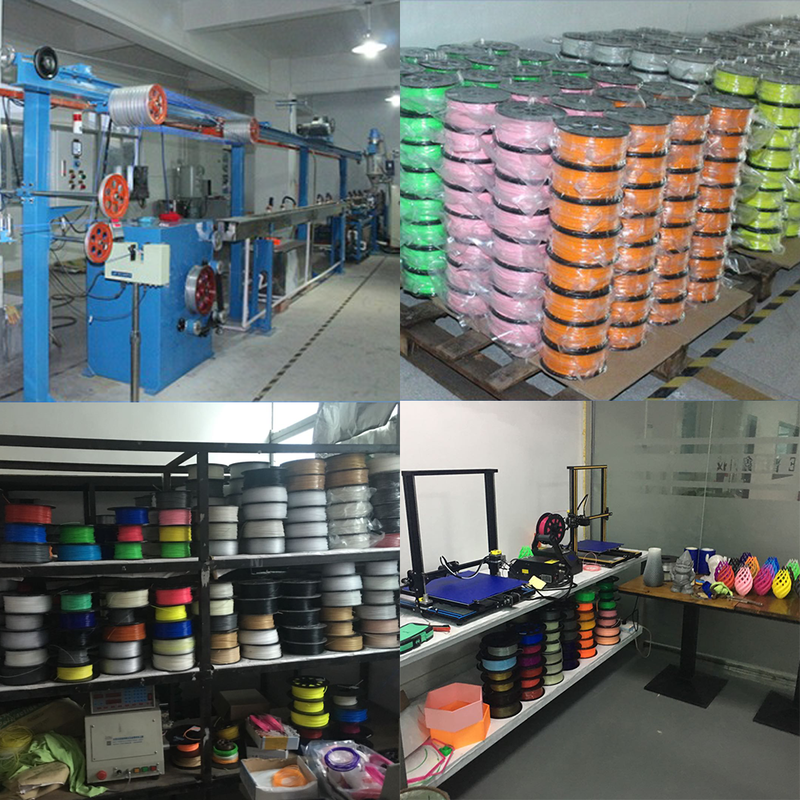 Diameter: 1.75mm; Length: 975m; Net weight: 3kg (6.6lbs); Tolerance ± 0.03mm; Spool Size: diameter 260 mm + inner hub 30 mm height 160mm. 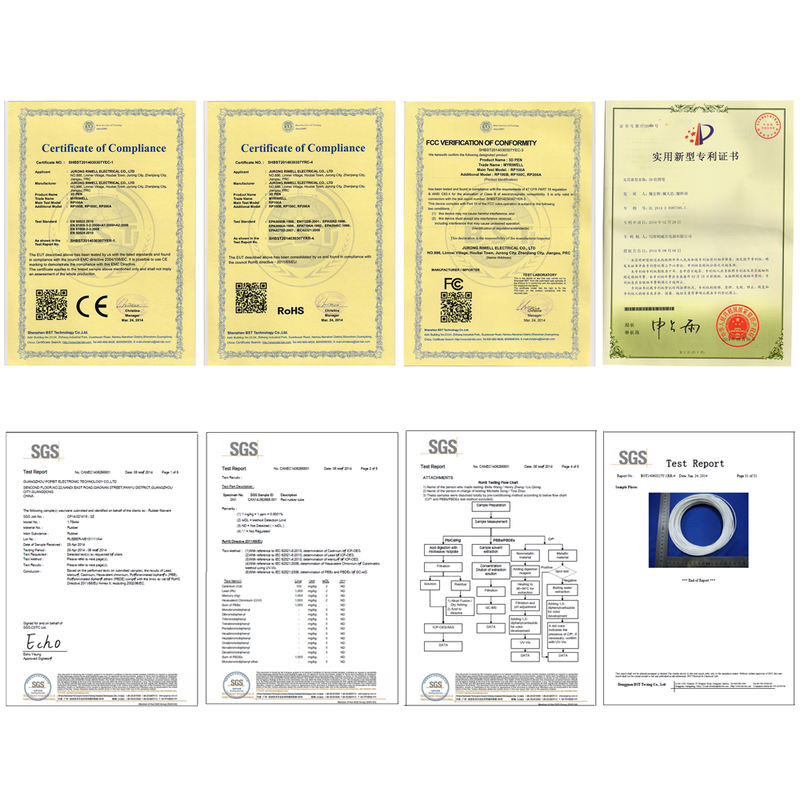 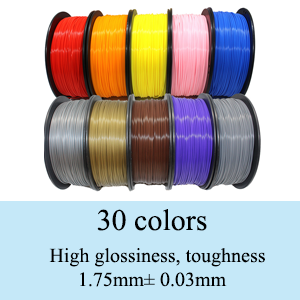 Printing Temperature: 190-220°C (374-428°F), depending on printer model. 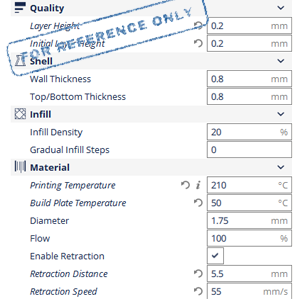 Recommended bed temperature: 40-55°C (104-131°F). 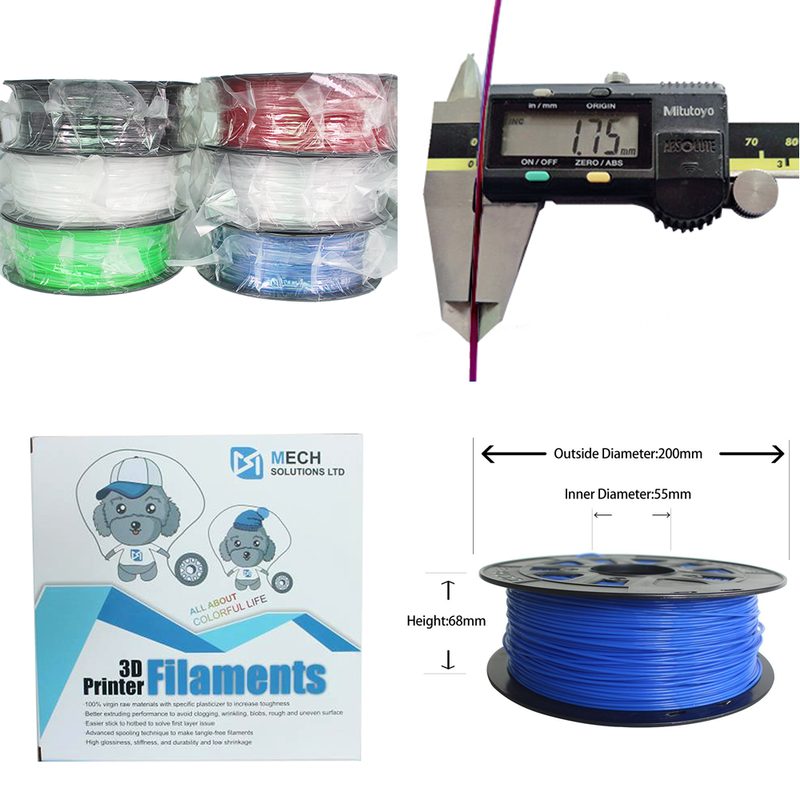 The filaments are universally designed and compatible with 3D printers using 1.75mm diameter filament, with a dimensional accuracy of 0.03mm and roundness variation of 0.03mm. 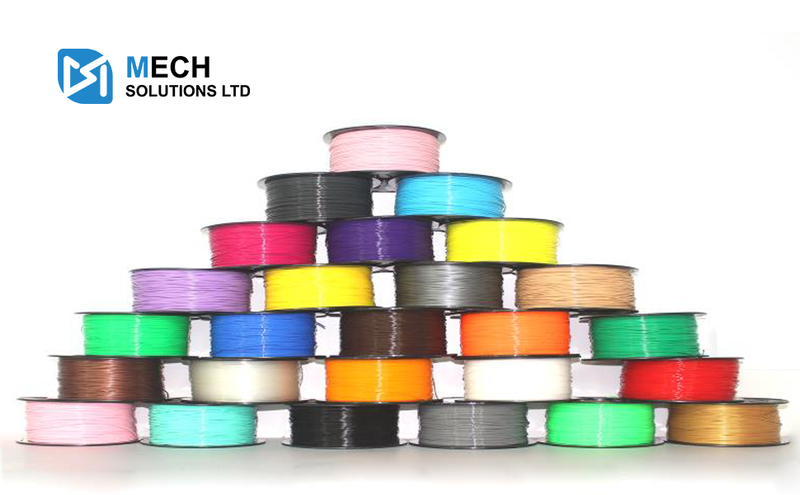 Each filament is 3000g net weight, around 975m for PLA material.